The Kyiv Factory of Sparkling Wines gives you an opportunity to experience the art of winemaking and to feel like a professional oenologist at least for a moment. One of the most popular production lines “Sovetskoe Shampanskoe” Premium has been enriched by a new kind of sparkling wine which is called Extra Brut. There is an opinion that the real bouquet of a sparkling wine can be revealed only in this condition. Extra Brut is exactly the type of sparkling wine which perfectly reflects its character and gives you an opportunity to enjoy the taste of the real masterpiece. The classic refinement is given to this sparkling wine by traditional grape sorts Pineau and Chardonnay, which are the basis of its blending. 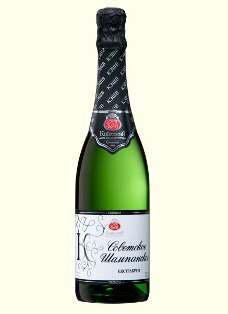 The “Sovetskoe Shampanskoe” Premium Extra Brut is a perfectly balanced and harmonic sparkling wine with a lively temperament. It will become the favorite of your choice and will be an irreplaceable specimen in the collection of the real wine connoisseur.